After becoming the target of thousands of lawsuits across the country, the manufacturer of a hip implant has taken steps to settle lawsuits on behalf of victims of their product in California and Georgia. Hundreds more plaintiffs are still waiting to have their claims heard by the court. 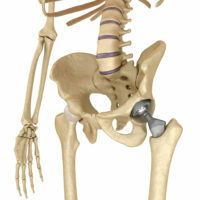 Wright Medical Technology is the manufacturer of several different hip implant devices. Wright created the Conserve Cup, a metal-on-metal implant for which it gained FDA approval in 2006. Wright claimed that the device was substantially similar to other devices on the market, and in this way obtained less-thorough review and expedited approval from the federal agency. Wright claimed to patients that the Conserve Cup, which consisted of a cobalt-chromium femoral head in a cobalt-chromium acetabular cup, would be long-lasting and ideal for younger or more active patients. The company claimed that the metal-on-metal design would allow the implant to wear less than plastic alternatives. Unfortunately, the implants failed to deliver on these promises. In fact, not only did the devices wear at an accelerated rate; the metal-on-metal design posed a serious threat to patients. As the patient moved, the metal pieces ground against one another, releasing flakes of metal into the patient’s body. Patients were found to have elevated levels of chromium and cobalt ions. The metal debris also caused surrounding tissue to die, and additionally caused metallosis and fluid buildup. One organization found that over eight percent of all patients receiving a Conserve Cup implant needed to have revision surgery to remove the implant within five years of implantation. While Wright and other members of the medical community were aware of the many risks posed by metal-on-metal implants at the time the Conserve Cup was sold, they failed to offer warnings about these risks to patients. As victims of these devices grew in number, they began to file lawsuits for personal injury damages against the company by the thousands. Prior to the recent settlement, 2,600 lawsuits had been filed against Wright Medical based on their hip implant products. The deal recently reached will settle 85% of these suits. Plaintiffs who were injured after having the Conserve Cup implanted can expect to receive up to $170,000 in damages through the settlement. If you have been injured by a defective medical device, such as the Conserve Cup or another hip implant, determine if you may have a claim for money damages by contacting the skilled and trial-ready Idaho personal injury law firm Pedersen & Whitehead for a consultation, in Boise at 208-336-2552, or in Twin Falls at 208-734-2552.